The pHTestr® 30 is one of the most accurate, handy and user-friendly pocket pH Testers in it class, featuring a large custom dual-display LCD means the user can easily see all the relevant information. 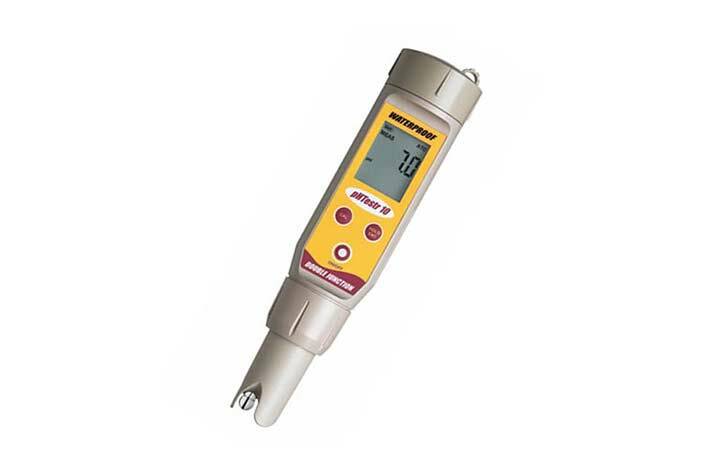 The pHTestr® 30 produces accurate results up to ±0.01 pH accuracy at 0.01 pH resolution, the addition of Automatic Temperature Compensation (ATC) ensures accurate readings even in varying conditions. The handy 3-point push-button calibration with USA and NIST buffer option sets enables quick, easy calibration with no mistakes. The double-junction sensor with chemical resistant Kynar® porus junction minimizes clogging and contamination. Longer electrode lifespan is given with increased polymer gel volume. This tester is covered by a 2 year meter warranty and IP67 rated casing which ensures it is tough enough to use in any conditions. 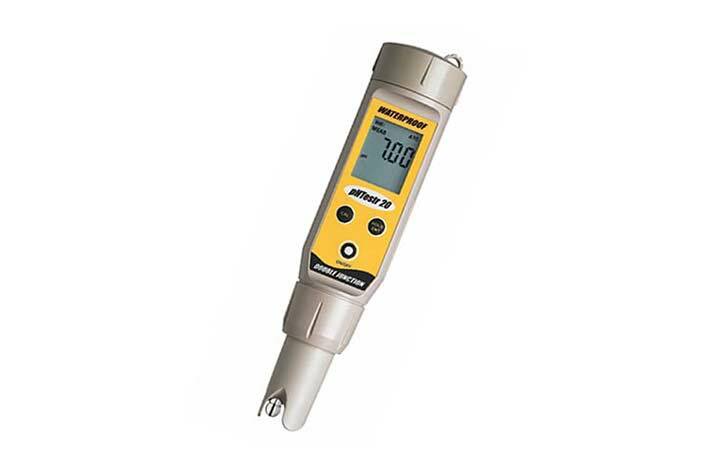 The ph Testr™ 10 is a simple yet effective pocket pH measurement tester, it comes complete with a protective plastic case and lanyard making it easy to use in the field. It is capable of giving accurate readings in varying conditions thanks to Automatic Temperature Compensation (ATC). The large custom dual-display LCD screen enables simple reading of measurements. 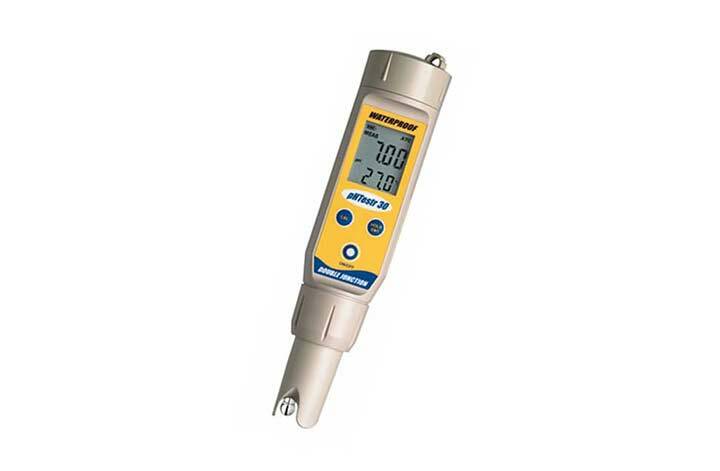 The pHTestr™ 20 is a simple, user-friendly device which accurately measures pH up to ±0.01 pH at 0.01 pH resolution. Automatic Temperature Compensation (ATC) ensures accuracy even in varying conditions.